We blush and take his word for it. But by the end of the week aboard the 12-metre catamaran Believe through the islands and waters of the Bahamas’ Abaco Sea we can vouch for all of Captain Greg’s claims. On board there’s only my wife and I, another couple and Captain Greg, who’s also doing double duty as chef on this vacation dubbed “Cays to Paradise”. We chose this type of holiday because it’s the exact opposite of a typical week at a big all-inclusive resort. Cruising on the Believe is like having a private three-bedroom, two-bathroom floating villa. While it may sound expensive, elitist and exclusive, it's actually affordable and accessible. 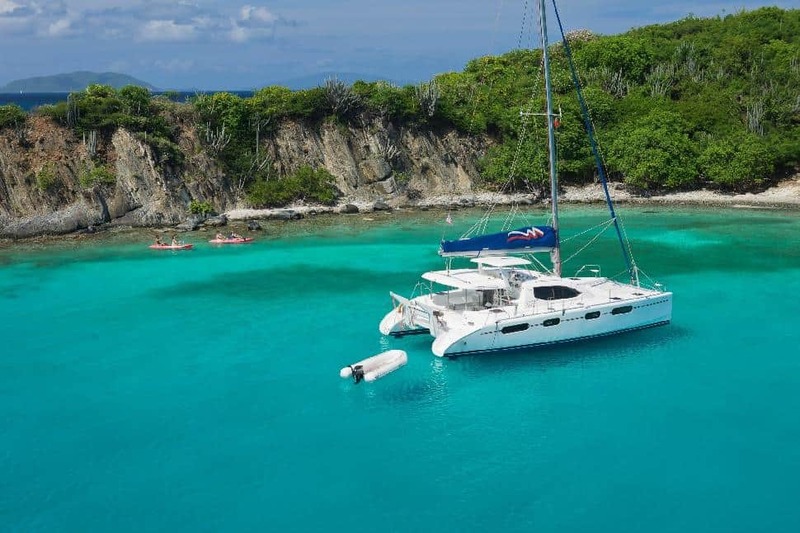 A week of specialty cruising starts at $800 per person based on a group sharing a three- or four-bedroom catamaran. Flights, food, booze and gas are all extra. We begin our adventure at Marsh Harbour on Great Abaco island where Moorings Boats has its Bahamas headquarters. 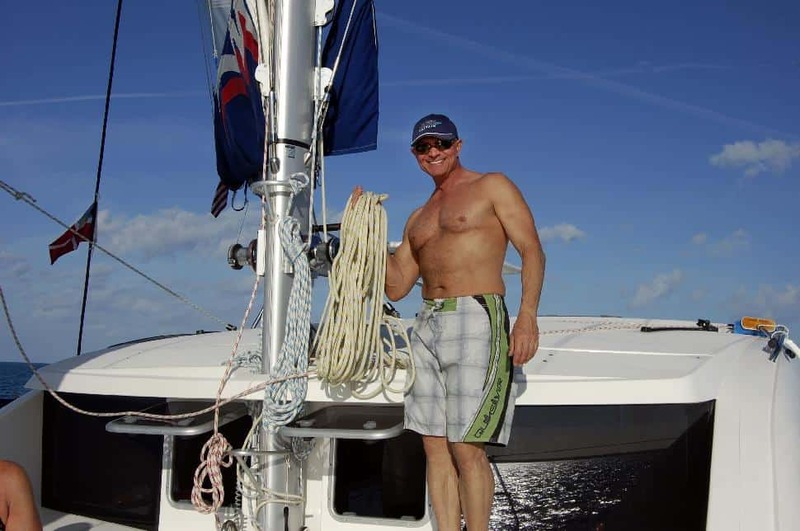 Captain Greg has a Toronto-based business called Yacht Solutions that hooks people up with customized catamaran and sailboat vacations using the internationally renowned Moorings and sister company Sunsail. If you’re an experienced sailor or motor boater you can skipper your own boat or you can abdicate all responsibility and book your ride complete with captain and chef. While we had Captain Greg himself on our voyage, most boats are booked out with Bahamian captains and chefs who provide local expertise and atmosphere both on the water and in the kitchen. Having a captain and chef means you can loll on the deck while the navigation, driving, meals, snacks, drinks and dishes are all taken care of. Our tradition became popping a bottle of champagne while leaving every port for our own exclusive sail away parties followed by more lounging on the deck as the turquoise water rushed past beneath us and the sail snapped above. Not to say we weren’t put to work occasionally. We all took turns winching to raise the main sail. And I had to make sure to buy ice at every port to keep the cooler full of beer and wine cold. The cooler had to be utilized because the fridge was stuffed with all the ingredients for the breakfasts, lunches and dinners we enjoyed on the Believe’s aft deck outdoor dining table. The itinerary was flexible, but designed to hit the highlights of the Abacos, the Bahamas’ most northerly chain of islands. The first stop was Man-O-War Cay, population 350, where there’s only a few streets, some boatbuilding and maintenance yards and a beautiful empty beach on the Atlantic Ocean side. Man-O-War is a dry island, meaning no liquor is sold there. However, you can BYOB so we packed some sauvignon blanc on ice to enjoy with our blackened fish lunch at Dock N Dine, a rustic outdoor eatery perched on pilings above the harbour. Day two and the leg from Man-O-War to Great Guana Cay is when the voyage seems to really hit its stride. The sun is blazing, the tunes on the stereo are cranked and we’re zipping along at six knots (10 kilometres an hour) under two billowing sails. This is when the catamaran ‘giggles’ in a trifecta of wind, sail and water vibration. Giggling ourselves when we arrive at Great Guana, we make a beeline for Nipper’s, the bar famous for its cliff-top perch and lethal Nipper Tripper rum concoction. 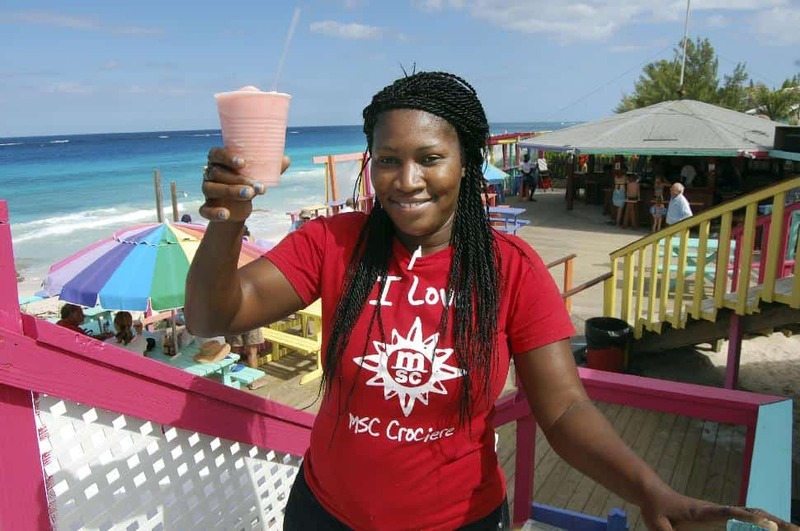 Proprietor Johnny Roberts, the great grandson times 10 of the first white man to step foot on the island, will only tell me it’s a secret recipe of four rums and fruit juices whipped into frozen perfection. We sip the signature drink from plastic cups under an umbrella at a multi-coloured picnic table before descending the steep stairs to the deserted beach for a dip in the ocean. Next stop Treasure Cay for another idyllic swim stop at Coco Beach and dinner at the Treasure Cay Resort's Spinnaker restaurant. From Treasure Cay it’s onto Elbow Cay, home to cute, little Hope Town, a candy cane-striped lighthouse and Tahiti Beach, which is considered the best strip of sand in the Abacos. In between there were stops to swim from the catamaran and snorkel in the clear shallow water to spot a multitude of shells, sea urchins, sand dollars and plump starfish. • WestJet and Air Canada fly from Toronto and Montreal to Nassau where you can hop on SkyBahamas for the short flight to Marsh Harbour and Moorings headquarters for the start of your sailing holiday. • Toronto-based Yacht Solutions can charter your group a catamaran (sail-motor combination or motor only) or sailboat from Moorings or Sunsail for vacations not only in the Bahamas’ Abaco islands, but also in other great sailing destinations around the world such as The Virgin Islands, Mexico, Seychelles, Thailand, Tonga and the Mediterranean.